In an extraordinary development in Pakistan, authorities destroyed bottles of “Tropicana Orange Juice” along with the illegal transported alcohol. The act was done as projected in Indian Bollywood film Raees where the police inspector rolled down the bottles of wine under roller truck. The customs department decided to burn down all the illegal imported wines worthing more than 50$ for a single bottle. 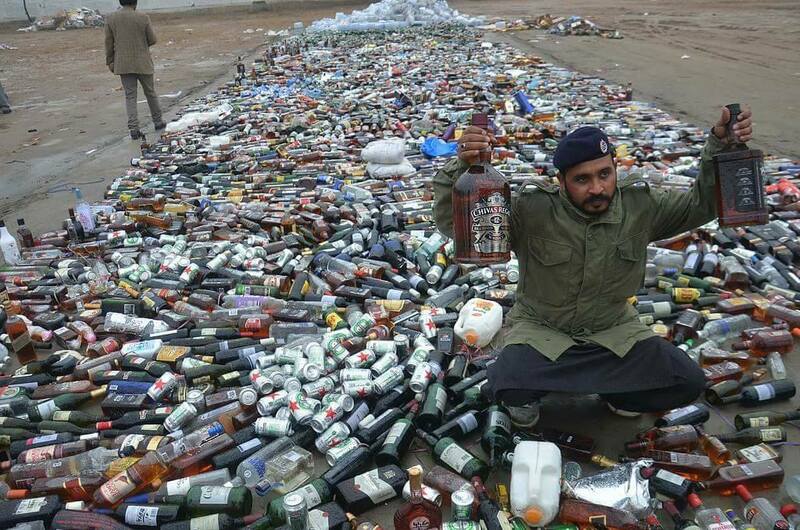 These bottles were caught while getting smuggled inside the country from borders. Custom department caught the consignment and burned it down to the end. One bottle of Chivas Regal 12 year old, which costs around 120$ in the airport markets could be seen getting destroyed. Alcohol consumption is prohibited in Islam but its legal in Islamic Republic of Pakistan if done through the licensed channels. Many Islamic countries including Saudi Arabia restrict the consumption only for tourists and non residents. The event of bollywood style decomposition of wine bottles was attended by top officials of import regulatory authorities. This was the first of kind action against the smugglers of wine in Pakistan. 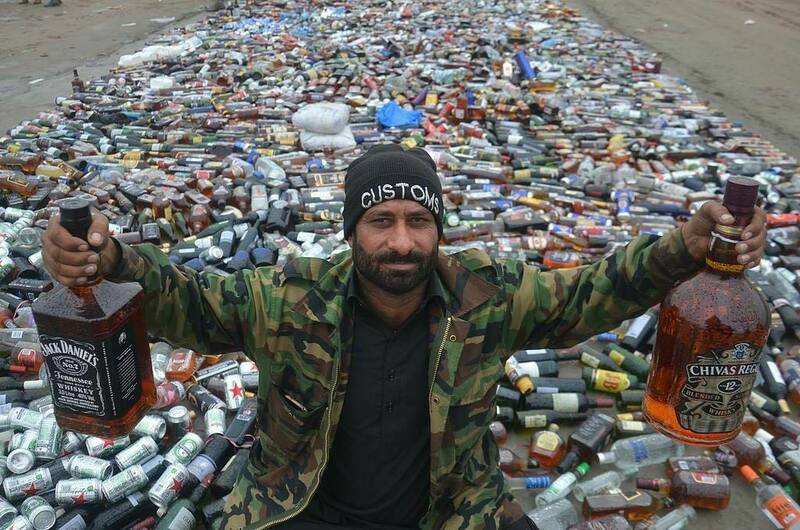 Many officers from Pakistan administration got a photo op opportunity with the bottles while the department decided to wage a war against smuggling. The photos of officers getting themselves clicked with tons of wine are getting viral on social media.